Emily has always lived a life of privilege. That is until the drums of World War One came beating. Her family may be dramatically affected but it also offers her the freedom that she craves. Away from the tight control of her mother she grabs every opportunity that the war is giving to women like her, including love. 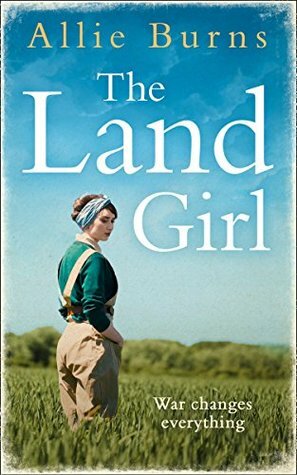 Working as a land girl Emily finds a new lease of life but when the war is over, and life returns to normal, she has to learn what to give up and what she must fight for. 5 Words: Family, responsibility, love, grief, belief. This book was honestly such a delight to read. It was so easy to get lost in the rich setting and get caught up in Emily's life, and I adored it. I loved Emily's passion and conviction. Right from the start she knew what she wanted, and she battled her way towards it. The family dynamics in The Land Girl are fantastic - from the family that Emily if born into to the family she makes for herself with her friends. 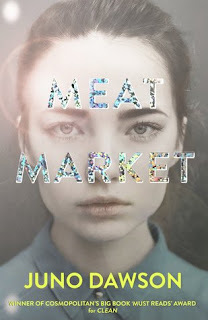 I did find the plot a little bit predictable, but in a good way. I felt comfortable knowing roughly where it'd go, if not how, and it still managed to throw up some surprises. I felt that there were three very distinct parts of this book, although they are not labelled as such, revolving around Emily's development. She changes so much between the beginning and end of the book that she could almost be a different person. And it's excellent. The Land Girl was a beautiful story, and one I will definitely reread. I enjoyed it so much that I went out and bought the author's other book The Lido Girls. This sounds like such a wonderful book and I'm always looking for new reads so thanks for the recommendation! I can't wait to read your review of The Lido Girls!